The radiation levels in Fish in Japan appear to be going down very slowly, hardly at all. 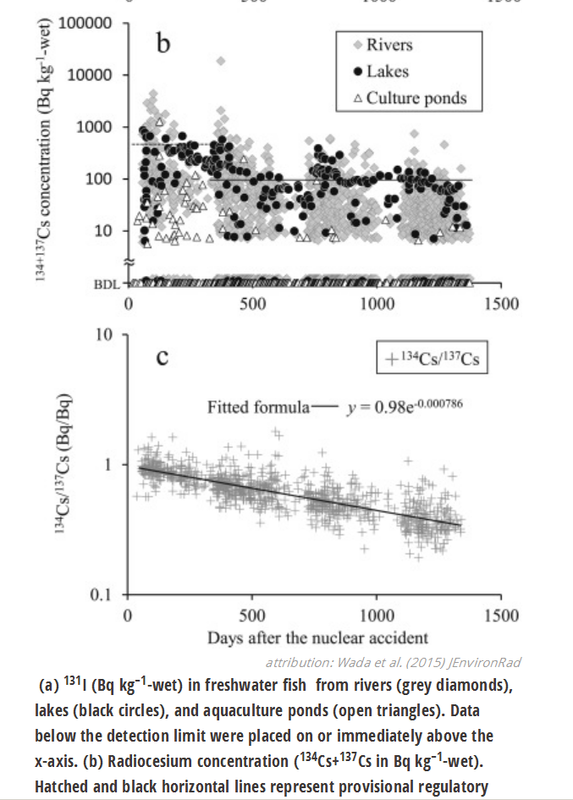 This kind of matches the unusual nature of "no drop in radiation in Chernobyl" over 30 years. Please review the whole article.